After 8 years as your library director and 18 years with our library, and 42 years since I completed my graduate studies in library science, I am retiring. It has been a joy and a privilege to work with our wonderful library staff members and other Leon County offices. The Leon County Board of County Commissioners has long supported the library in its vision of "Inspiring a Love of Reading and a Life of Learning." Our library users--the people who come to the library and visit our website to use all of our services--make our jobs rewarding, varied and interesting. The library truly is for everyone. 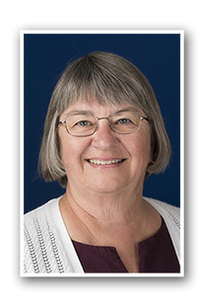 Debra Sears, who has been the Library's Extension Services Manager for 10 years, will be our new director. 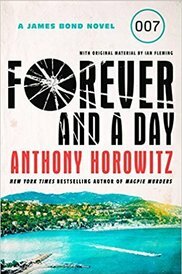 Thanks to the Friends of the Library Endowment for Excellence, the library now offers a wonderful streaming video service—Kanopy.com. This service for public libraries and college and university libraries offers a growing collection of more than 30,000 videos—including classic films, world films, documentaries, videos on the arts, sciences, languages and business, great courses and a special collection called Kanopy Kids for children. Each LeRoy Collins Leon County card-holder may check out and download four videos a month, and each checkout lasts for 72 hours. This service is available for Android, iOS (Apple products), Roku, Amazon FireTV, Google Chromecast and desktop computers. For more information see our downloadable media page here. Call or visit the library for more information or help using this great new service. Two days after Hurricane Michael tore through our area, devastating parts of the western Panhandle and causing damage in our community, Leon County opened the Main Library as a comfort station for our community. The main library was open from 9 AM to 7 PM on Friday, Saturday, and Sunday, Oct.12-14. Leon County Human Services and Community Partnerships set up shop at the library, offering assistance, snacks and water to those seeking help, solutions and reassurance. Some 6,000 visitors came through the doors. People of all ages clustered around every outlet and power strip, as they recharged cell phones, tablets and laptops. Every library public computer was in constant use. Library visitors also used the library’s Wi-Fi to connect with relatives, friends and to keep up with news. Library staff members assisted people with their devices, helped them find reading materials to check out and take home and answered many questions. Many people received assistance and advice on recovery from Leon County staff. Everyone enjoyed the air-conditioning, access to the internet, power and a friendly and supportive sense of community. Our library users achieved a milestone in library use in the last fiscal year (October 1, 2017 to September 30, 2018), downloading 105,187 items from the library website! This was our first year of 100,000+ downloads of ebooks, audiobooks and videos. The downloadable service started in 2007, and we now have about 25,000 items available through the library website. The number of downloadable materials continues to grow as library users enjoy the convenience of downloadable materials, available 24/7 through the library website. To learn about the library’s downloadable ebooks and audiobooks, check the library website or call or ask about downloadables. 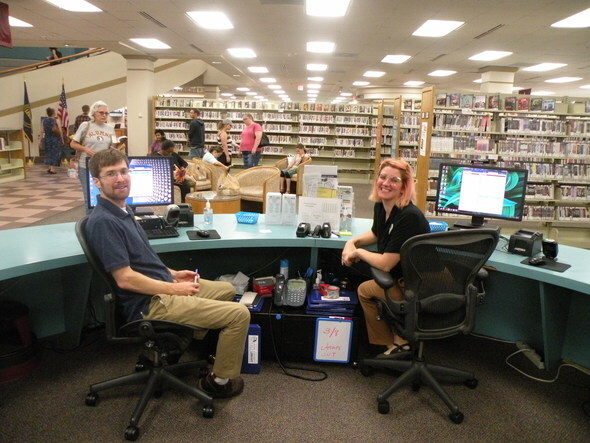 We are happy to assist you with your devices—you can even request a One-on-One Tech Help appointment with a librarian at your favorite location. 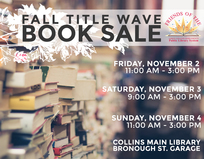 Come join us on November 2-4 for our Fall Title Wave Book Sale. Great gently used books will be available in many genres and at very affordable prices. All proceeds will benefit the Friends of the Library in their ongoing mission to support and promote all we do at the Library. Popular local author Rhett DeVane is our speaker for Booked for Lunch on Thursday, November 15, at 12:15 p.m. at the Main Library. Rhett has written 10 novels with characters and settings straight from our local area. Please bring your lunch and enjoy refreshments provided by the Library while Rhett talks about her craft and the stories behind her works. Digital Storytelling Workshop on Saturday December 8! Join us at the LeRoy Collins Leon County Public Library on Saturday, December 8, for an innovative workshop on digital storytelling facilitated by Dr. Ned Stuckey-French from Florida State University. Participants of all ages will learn to use existing/free technology and their own tablets,cell phones, and other digital devices to track plot lines, map character journeys, write sequels, create mash-ups and use animation to bring characters to life. Selections of videos people create will be made available on the Library's social media. This workshop is funded by a grant from the Florida Humanities Council and a partnership with WFSU-TV as part of the recent Great American Read series on PBS. Please join us on December 8 to learn more about this state- of- the- art technology. 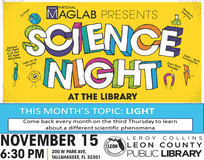 Enjoy hands-on science activities every third Thursday at the Main Library. This program is offered by the MagLab and is designed for 1st to 5th grade students (although all ages are welcome). The November theme will be Lights. 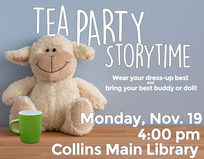 Bring your children by the Main Library at 4:00 p.m. on Monday, November 19 in their "best dress up clothes" along with their best buddy or doll to this fun event. Join us for this fun and innovative take on the classic game! 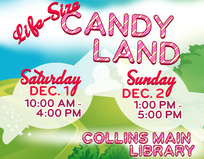 It travels to the Main Library on December 1-2, the Jane B. Sauls Fort Braden Branch on December 5-8, and finally the Northeast Branch on December 15. Join in the holiday fun with this great family activity! To see everything going on at all the branches go to our website LeonCountyLibrary.org or call any branch. Did you know that a Leon County citizen pays on average $3.84 in taxes per month to support the LeRoy Collins Leon County Public Library? You can't even buy a cappuccino for $3.84, yet this amount helps fund library services for our community. The American Library Association provides a library value calculator that demonstrates how much money you save by using your public library for resources such as books, downloadable media, meeting rooms and more (https://tinyurl.com/libraryvaluecalculator). The LeRoy Collins Leon County Public Library is open to everyone and provides a wealth of free resources such as public computers, technology instruction, research assistance and program rooms. The library is also beneficial to the local economy, providing tools for small-business growth, job searching and professional development. 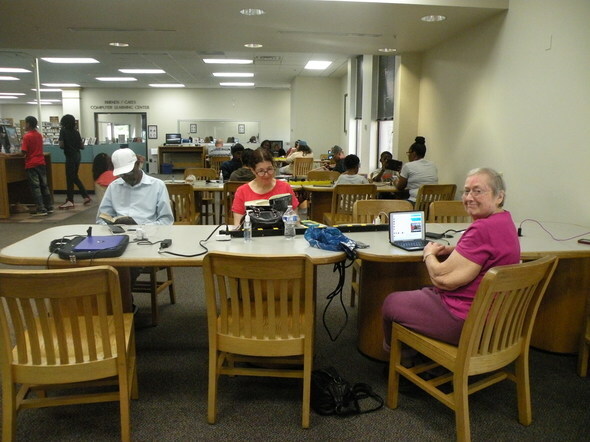 A study conducted by the Florida Department of State's Division of Library and Information Services shows that an investment of $1 yields an average return of $10.18 for Florida library users. Spend some time at your LeRoy Collins Leon County Public Library and you'll see that it offers a great return on your investment. 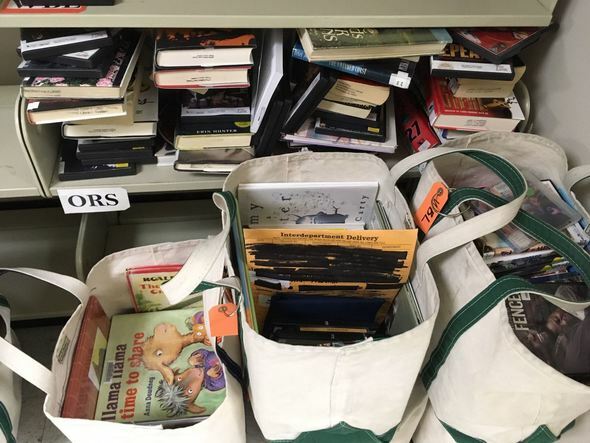 The Collection Management department is responsible for providing and organizing the library materials purchased for use by the citizens of Leon County. This includes print, non-print (audio-visual) and electronic items. The staff of 12 performs this in a centralized setting for maximum efficiency. Items are ordered through receipt of requests from patrons, recommendations from library staff, and from automatic standing orders, based on previous receipts. These orders are sent out electronically, through fax, or in some cases through traditional mail orders. Items are then received (usually within a week, if in stock) through US mail, UPS or other carriers. These are then flagged for further treatment, depending on their internal status. Items are invoiced and then paid for through our accounting, generally through use of purchasing (credit) card, although some vendors still receive checks. This is done only upon receipt of the ordered items. At this point, items are placed in the cataloging queue of items or, in about 15% of the cases, on a RUSH/priority status, where they are given preferential treatment. Items with patron holds are treated as RUSH items. Generally, these are completed in about 1-2 days, depending on the volume. The six catalogers are responsible for creating and verifying existing access points, descriptions and linking the items with the correct internal records. Occasionally, they will need to contribute an original cataloging record to OCLC, the international bibliographic utility upon which all major libraries rely for shared records. In addition to books, compact discs and DVDs, the department also receives and manages all magazine subscriptions, for immediate distribution to all branches. Materials needing repair are also sent to the department, where we may ultimately employ the services of a bindery for repair and preservation. books bagged and ready to be sent out to Branches. In each newsletter we include a story from one of our staff about going the extra mile to enrich their own and our patrons' well-being. A little girl, maybe 4 years old, grabbed a scary book out of the Jr. Fiction section, appropriate for a 6th grader. She wanted her mother to read her the book, but it wasn't appropriate for a child her age. I overheard this and went to find "scary" picture books more appropriate for a child her age. The girl's face lit up with excitement at the books I'd chosen for her. She and her mother read two of them in the Library and then checked all of the others out.